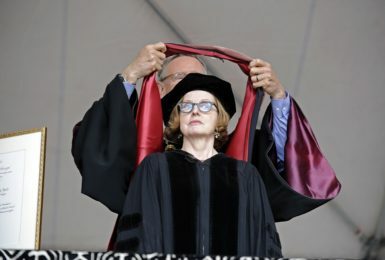 AICA UK warmly congratulates Roberta Smith, co-chief art critic of the New York Times for winning the first-ever award for lifetime achievement from the Smith Rabkin Foundation. Roberta Smith gave the AICA Uk Annual Lecture in 2014. The Dorothea and Leo Rabkin Foundation is an organisation in Portland, Maine, that offers grants and awards to art journalists. Per the Times’s editorial guidelines, Smith cannot accept the $50,000 purse that comes with the award, so she has elected to give it to the Art for Justice Fund, which was started by collector Agnes Gund in 2018 and turns funds raised through the sales of artworks into grant money put toward causes related to lowering mass incarceration rates in America. Smith has been on staff at the Times since 1991. Prior to that, her writing appeared in Artforum, Art in America, and the Village Voice. She is widely respected as one of the preeminent art critics in America.